I was fortunate to be invited to Belo Horizonte, Brazil to participate in the 3rd International Beer and Culture Festival (FICC). 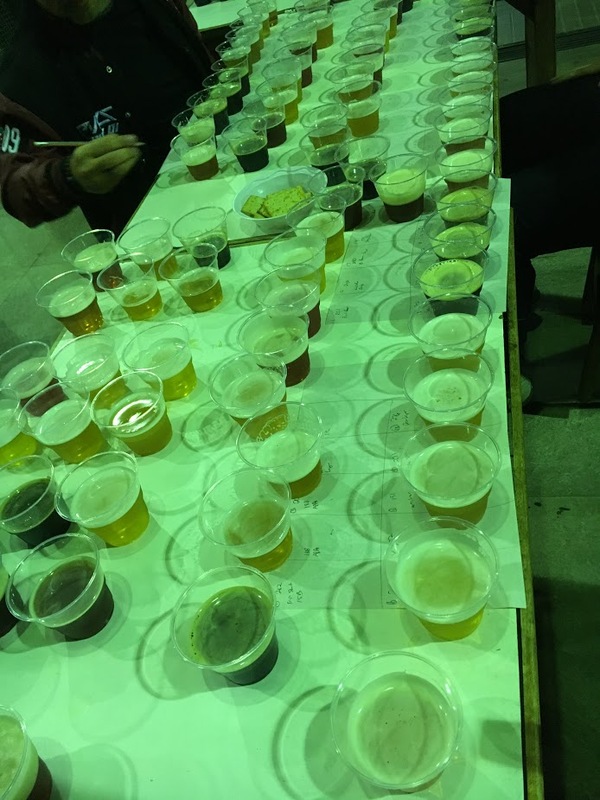 Among the over 30,000 attendees over two days is a significant number of Brazilian breweries that pour their beer at the event. 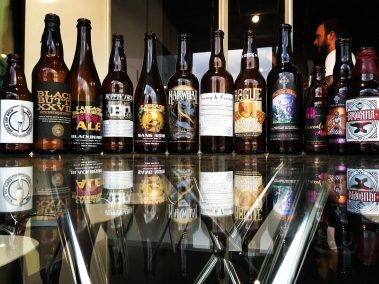 As part of my duties at the festival were to judge a competition consisting of beers from many of these local breweries and primarily to give a presentation on NEIPAs and biotransformations (a style that appeared to be very popular in Brazil). 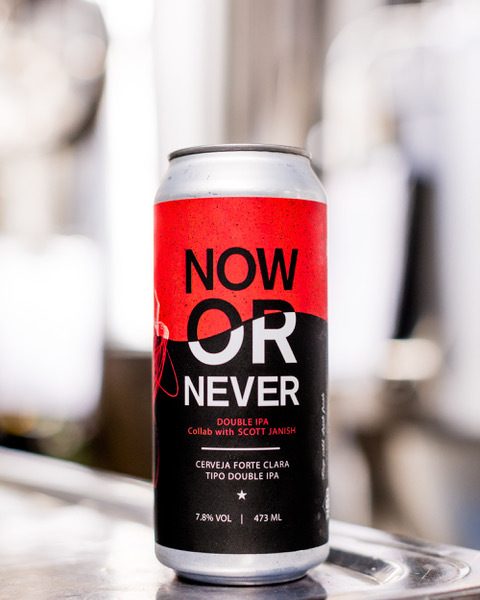 As part of the trip, I also brewed a collaboration NEIPA with Koala San Brew, called NOW OR NEVER! (recipe below). 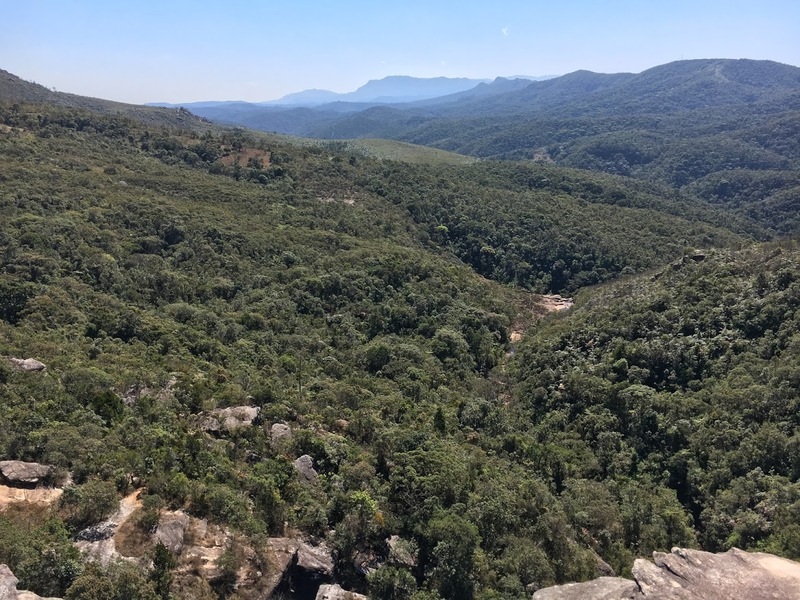 I was initially asked to come to Brazil in November, but because of changes in planning, the date moved to early August, without much time to get a Visa I wasn’t sure if I could swing it. Gustavo Simoni (CEO of Koala San Brew), who was organizing the invite, encouraged me to come saying, “it’s now or never,” hence the name of our collaborative NEIPA! 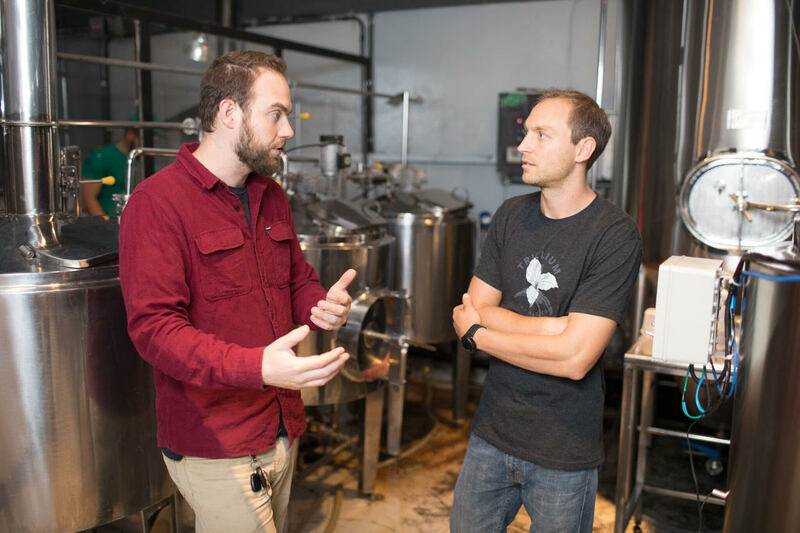 Gus and I first spoke back in July to see if I might be able to help his brewery (and others in the area with similar problems) with NEIPAs oxidating quickly, turning dark, and losing aromatics shortly after being canned. The issue was likely from the peracetic acid solution used to sanitize the cans before filling. The picture below shows a test done during after canning to try and narrow down the problem. The glass on the left was rinsed with the peracetic solution (at a slightly higher dose than typically used), and the glass on the right was cleaned with chlorine-free hot water, a tip coming from some Colorado breweries. 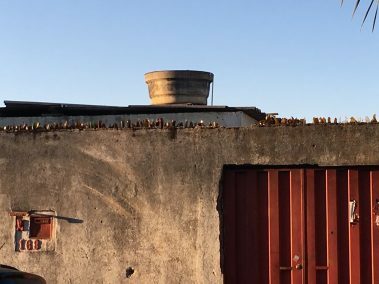 Perhaps the mobile canners were using too high of a dose, and the solution was breaking down into enough oxygen to react with trace metals in the beer. For example, when iron reacts (traps) oxygen it can lead to the formation of hydrogen peroxide, which then initiates ethanol oxidation.1 I’m curious if any other breweries have experienced similar issues when canning their NEIPAs. Judging at the competition proved to be educational while scoring a beer in the wood aged category I was the only one who scored a beer in the low 30’s (the rest loved the beer and had it in the 40’s). I didn’t understand; the beer seemed to lack any of the traditional wood characteristics I would expect, except for maybe a hint of vanilla. Instead, I mostly picked up on a potent mix of spice notes, like cinnamon and basil. The other judges realized the confusion and had to teach the dumb American about Amburana. Amburana is wood found in Latin American Forests and made into barrels, sometimes used to age Cachaça (Ka-sha-sa), a traditional Brazilian spirit made from sugarcane juice (which was described to me like rum, but not). It’s an aromatic wood as one brewer I talked to would age as little as 10% of a dark beer in a barrel and blend it back into the full batch to get some of the amburana flavors into a beer without it dominating. Best of Show judging was intense! The winning beer was Noi Cioccolato, a 12% imperial chocolate stout. Brewing the collaboration beer was a lot of fun, I did my best to stick to only photo op work, like dumping dry hops into a tank while leaving the actual brewing to the experts. 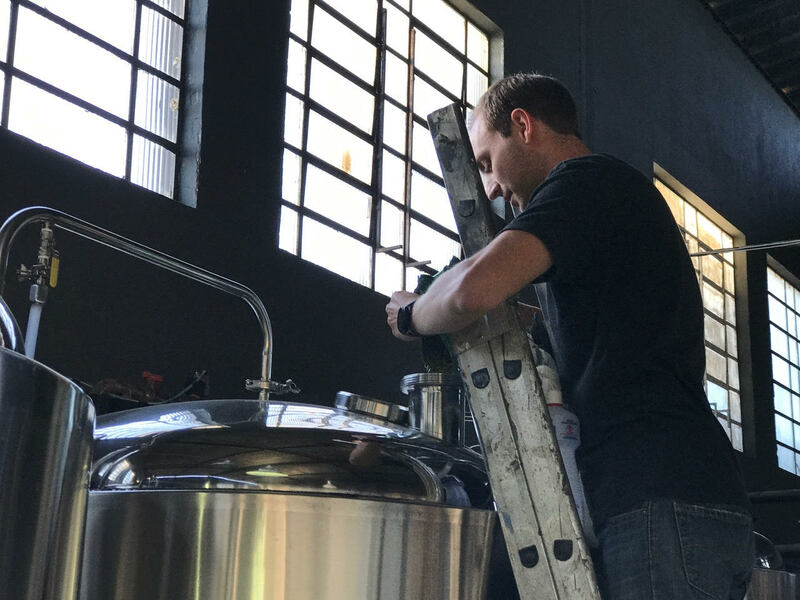 Koala San brews multiple batches over two full days on a triblock system to fill a fermenter. Pitching the yeast right away, the first batches acts like a starter for the rest of the wort that will be transferred into the tank the next day. In this case, it took two full days of three batches a day to fill the 9 bbl fermenter. Dry hopping the first addition of Now and Never 24 hours into fermentation. *** I would consider backing off the dry hopping on the homebrew scale to max out around 6-8 total ounces. We liked the idea of using a high protein malted wheat in this NEIPA as it can play a role in the permanent haze. The increase in haze is likely because of the proteolysis (breakdown) of wheat gluten proteins during malting.2 By malting the wheat, the protein degradation leads to less protein precipitate occurring during the brewing process which may result in more of these proteins in the final beer. 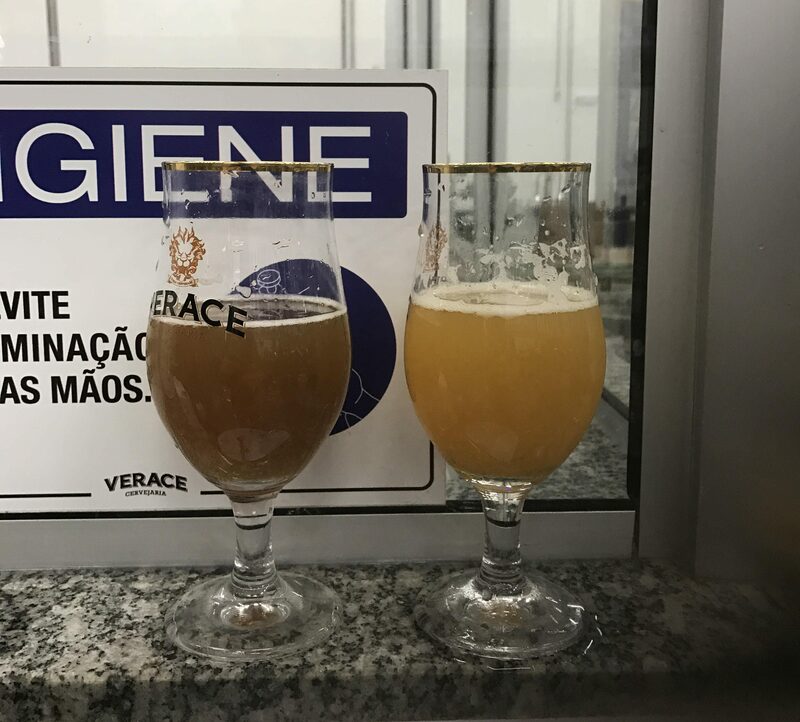 It also seems likely that as these proteins remain in the beer, the chances of polyphenol and protein binding goes up, also playing a role in permanent haze. The longer wheat is germinated during the malting process, the more permanent haze potential it appears to have. 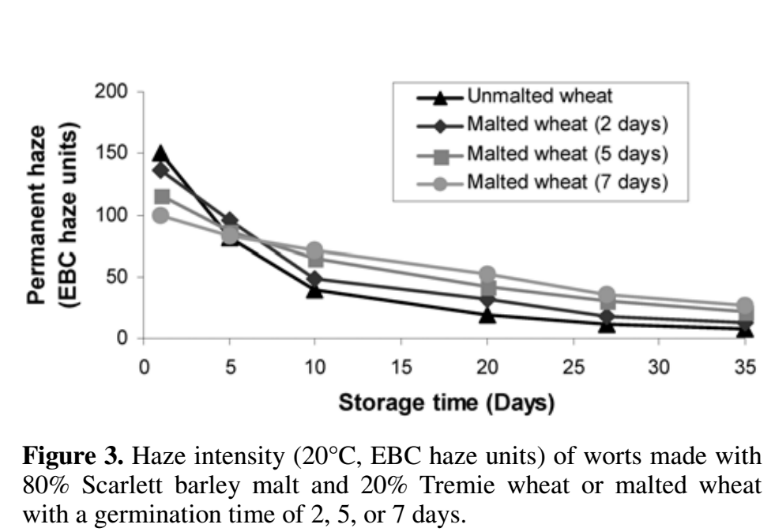 As the chart below shows, beers brewed with just 20% malted wheat and 80% barley malt, the longer germinating time (increased malt modification) had an impact on haze formation (measured in EBC haze units). Interestingly, this same study found that by using wheat malt in additions higher than 15-20% of the total grist actually reduced the haze. Delvaux, F., Combes, F., and Delvaux, F. The effect of wheat malting on the colloidal haze of white beers. Tech. Q. Master Brew. Assoc. Am. 41:27-32, 2004. What also catches my eye in this study is that the initial haze in the unmalted wheat was the highest. In fact, the more the malt was germinated, the worse the initial haze. It seems likely the longer the germination time, the more the proteins are degraded. I’m interested in this because when using unmalted wheat, or even wheat flour, it appears these heavier proteins are making their way through the brewing process only to drop out as things settle. Could these unmalted heavier proteins be taking beneficial flavor compounds with them? Likewise, are the malted proteins staying in suspension leading to more flavor potential since proteins are known to bind flavor compounds.3I have an experiment going, and research set aside on these questions. Faltermaier, A., Waters, D., Becker, T., Arendt, E., & Gastl, M. (2013). Protein Modifications and Metabolic Changes Taking Place During the Malting of Common Wheat (Triticum aestivum L.). American Society of Brewing Chemists, Inc., 71, 153-160. What’s also interesting to me in the graph above is as the germination time increases in days so do the measured Kolbach index percentages. As we learned above, the longer the germination of wheat, the more haze potential it may have. So, if the germination time can be tied to the Kolbach index, it might be safe to assume the higher the Kolbach index advertised of the wheat malt used, the more permanent haze potential the wheat malt may have. Using just 15-20% malted wheat in the of the grist (even better with a high Kolbach index) may get you more of that permanent haze (especially with the addition of polyphenols from the heavy and early dry hop additions). We gave it all a shot in this NOW AND NEVER NEIPA using a slightly higher percentage of 30% malted wheat to accompany the 25% flaked oats with early dry hopping (24 hours into fermentation). As far as the hopping concept in the recipe, we chose to do a triple dry hop process. This doesn’t mean we used triple the amount of hops, rather, we split the hops into three separate additions. The first was a pellet additions 24-hours into fermentation. The second was another pellet addition around day 7 of fermentation (very tail end). Followed lastly by a final dry hop addition of lupulin pellets. The idea to blend both lupulin with pellets stems from previous experiments and research into the lupulin product. It seemed best to use the lupulin powder as the last dry hop addition because of the potency level as well as the lack of polyphenols. During the early standard pellet additions, I speculate as to whether some of these harsh polyphenols can be stripped out with the active yeast, leaving a more pleasantly less-aggressive dry hop character. Hopefully, if done right, this process can create an incredibly hoppy flavorful beer that lacks in the aggressive vegetable bitterness over dry hopping can bring. NOW OR NEVER Double NEIPA! Unfortunately, I had to catch a flight back home before the beer was ready. But from the tasting notes relayed to me, it sounds like we accomplished what we were after! The result is a hazy and light colored Double IPA with an extremely silky mouthfeel. The aroma is “explosive” of berries (blackberry), green fruits, and citrus with a slight woody touch. I’m excited to see how the beer goes over when it’s released this Friday (8/24/2017) in the tap room. Big thanks to the International Beer and Culture Festival (FICC) for the invite. Also thanks to Kola San Brew as well of friends of the brewery and other local brewers for making my time in Brazil so much fun and for making me feel so welcomed. 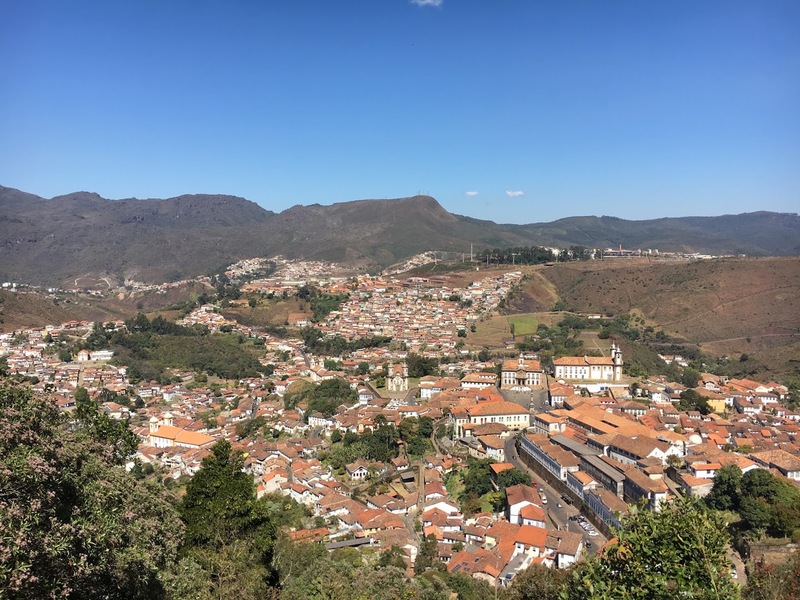 I was amazed at the extreme generosity shown to me in my short time in Brazil from those that that took the time (full days even) to show me around the historic mountain town of Ouro Preto, Inhotim Art Museum, visits with local coffee roasters, and even an invite and late night at a house party! 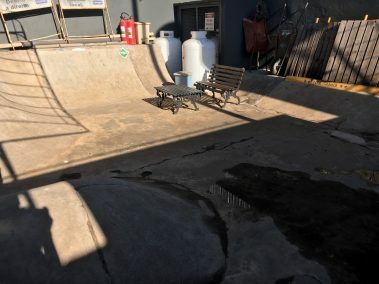 Koala San Brew has a parking spot for Tom Hanks and a skate bowl behind the brewery. There were a few growler stations on the Street in Belo Horizonte (mostly local IPAs). 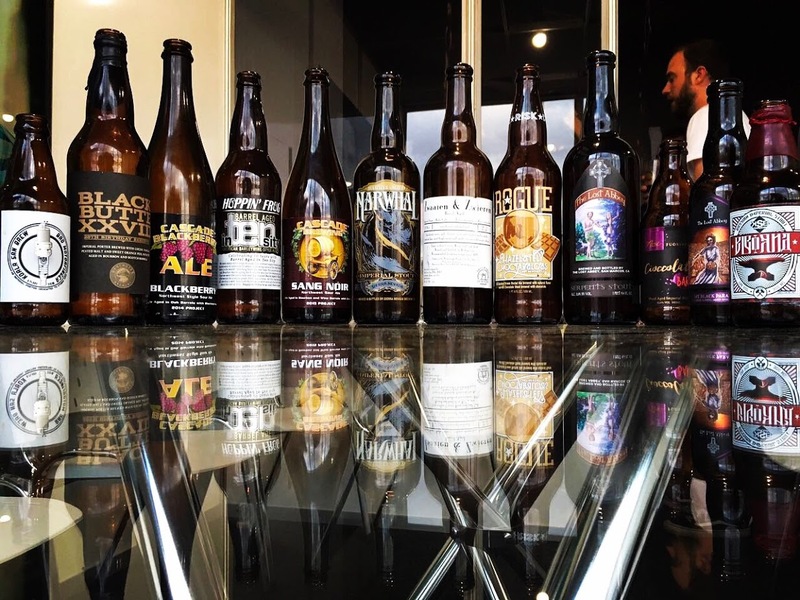 I went to a bottle share one night, here are the beers they were holding onto! 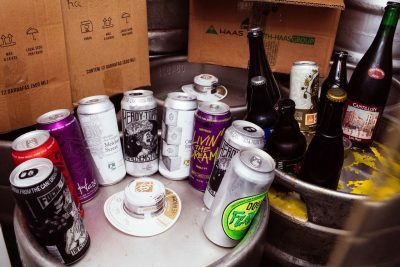 It was fun bringing with me a bunch of fresh NEIPAs to share! Delvaux, F., Combes, F., and Delvaux, F. The effect of wheat malting on the colloidal haze of white beers. Tech. Q. Master Brew. Assoc. Guichard, E. (2002). Interactions between flavor compounds and food ingredients and their influence on flavor perception. Food Reviews International, 18(1), 49-70. doi:10.1081/fri-120003417. Great presentation at KSB, Scott. Thank you for bringing us a lot of knowledge about NEIPA and biotransformation. Oh man, Scott sorry we didn’t connect at HBC. So happy to see this and the confirmation of all of your work blogging and studying! Really cool! Cheers! What would be your favorite Brazilian food to pair with that recipe? Bonus if it includes braized guinea pig and chiles! Thanks Matt! I’m not great at pairing food with beer, but I think the best pairing would be one of their flavorful tropical fruits incorporated into the beer! Thanks for having me, I had a blast! Thanks for the post. They are always informative! I had not considered the potential for an acid sanitizer to contribute to oxidation, but that makes sense. I have also been wrestling with oxidation of my NEIPAs in the keg. It doesn’t always happen. I’ve had a keg of NEIPA last 6 months with no visible browning and I’ve had NEIPA kegs go brown in less than a month. Based on forums and a back-of-the-envelope calculation, I am currently thinking that I have not been purging the keg sufficiently. Unless you repeatedly purge the air from the headspace in the keg or fill it to the very top, you are likely left with a not inconsequential amount of oxygen. Oxygen solubility in the beer is very low and takes some period of time to dissolve, but a little air in the headspace has a lot of O2, which can slowly dissolve into and react with the beer. From a calculation, it appears that only 20 mL of headspace in a 750 mL bottle would be enough for the beer to reach 8 ppm O2 (i.e., saturation). The yeast may consume that oxygen, but it might react with the hops. Also, I wonder if the high salt content in NEIPAs facilitates the electron transfer (i.e., oxidation) and leads to more rapid oxidation than is typical for most beer styles. Purging the keg prior to filling and again after filling is a good practice. Adding just a little priming sugar to a keg and giving it a few days at room temperature to work on that sugar might also be a good way to consume some oxygen that might have found it’s way in. If you dry hop in the keg, a couple days at room temperature for extraction of those dry hops is probably a good thing anyways. How much priming sugar would you add to not affect the flavor/ABV of the beer, but still assist in O2 consumption? It shouldn’t have much impact on flavor if you let the small amount you add ferment out. If you have a spunding valve you can check to make sure the keg has reached pressure based on the sugar added. I would do a small amount, just enough to get some activity to help scrub oxygen, maybe 10 grams or so, which would be less than 1 volume of C02 (your keg should increase about 3 PSI with that amount). Would you add the priming sugar just points above when it reaches final gravity? I think you could experiment with either transferring to a serving keg a few points away from final gravity, this way those final points will be fermented in your keg and hopefully scrubbing some oxygen that got in during the transfer. Or, if you wait until after fermentation is complete and you transfer to a keg, you could try adding a small amount of priming sugar to essentially accomplish the same thing. With the second option adding sugar without adding oxygen would be a challenge, i would like to try your first option and compare side by side with an forced carbonated beer. Thanks! Is it safe to flush cans with hot water? I have concerns about dissolving some of that inner BPA layer. That’s a good point, I’m glad you asked! I reached out to Gus to confirm his process and they don’t use hot water, rather, just room temperature water to flush out the cans. You say 2:1 chloride to sulfate, but do you recall what the total hardness (as ppm of CaCO3) of the water was? I’ve heard 350ppm is a sort of tipping point between soft and minerally, but sometimes hoppy beers can benefit from hardness as high as 750ppm. This might be my biggest dilemma when it comes to NEIPAs at the moment. Any thoughts on adding NaCl? Thanks! Sorry my bad English. 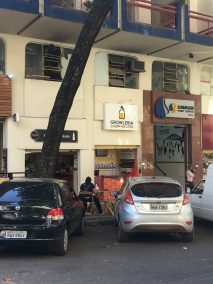 I am a Brazilian, homebrewer and I saw your story at Koala San Brew. Great!! I made a recipe with the same malt grid and my enzyme efficiency was very bad. Retained more liquid than expected and did not extract as I expected. I believe it is because of the large amount of oats, but I may be wrong. Did you ever get a protein stop? 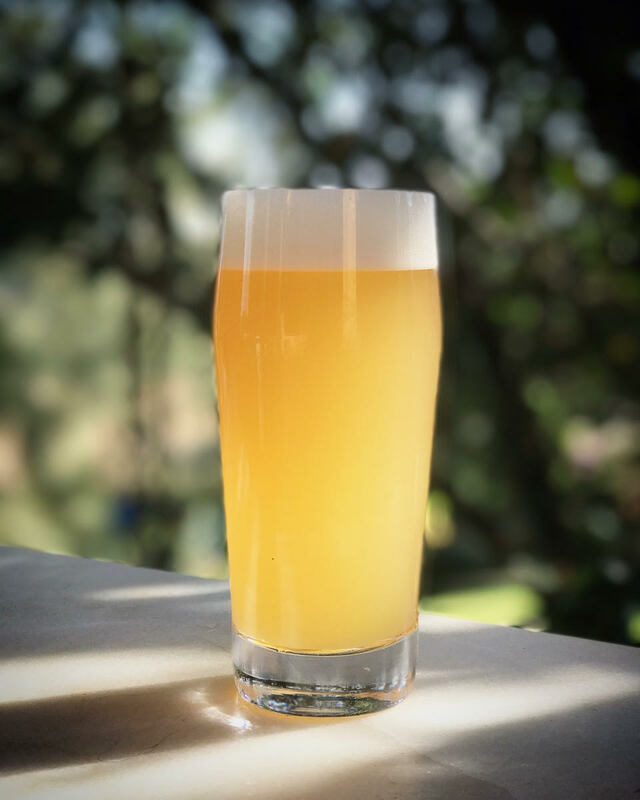 How to leave the beer in that beautiful orange / yellow (Juice) color from NEIPA? For it came out darker than I imagined. Obs … I did not use peracetic, only alcohol 70 °. Are the malts, hops or what contributes to this wonderful color? On the concepts of biotransformation, would you have more complete materials on this? I would like to understand more about this process. I hope you were able to try Now or Never! You could try mashing longer than you typically do with more oats (90 minutes or so) to see if your conversion increases. I don’t do a protein rest in recipes like this. It sounds like your beer was exposed to oxygen early in the process. Did you keg the beer? Hazy IPAs are sensitive to oxygen so doing things like closed transfers and purging kegs, etc. are good ways to help keep oxygen exposure down. I just brewed this recipe and strangely also found my mash efficiency to be down the drain. Partly this is due to very thick gelatinous mash, but even with a lot of doughing and mixing throughout mashing I hit only upper 1060’s with my OG and had to do a last-minute addition of spray malt. I _think_ it is not a catastrophe, wheat and oats have anyway contributed to haze and mouthfeel even if starches did not extract+convert completely. Like Cleber says above, the mash retained water like crazy. In hindsight, addition of rice hulls or equivalent would have been a no-brainer given the wheat and oat flake percentages, but I had none at hand.